Crawling traffic jams come in many shades of inconvenience and misfortune, from construction and weather to accidents and distracted driving. The frustration and risk are tenfold if you're behind the wheel of a truck. Philadelphia truck drivers frequently encounter a few of the worst areas for traffic bottlenecks, according to a new report from the American Transportation Research Institute. It's no surprise that if it's bad for them, it's bad for everyone stuck behind them. 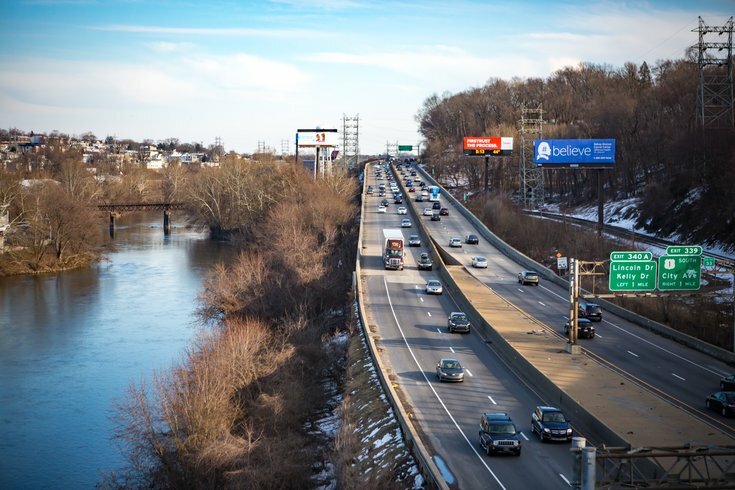 In its annual list of the top 100 truck bottlenecks in the United States, ATRI's study of 300 locations on the national highway system includes three familiar culprits in Philadelphia. Highest on the list, at No. 38, is I-76 at I-676 — where Schuylkill Expressway meets the Vine Street Expressway, a notorious choke point in and out of the city. Next is I-476 at I-95 – the Blue Route's junction with I-95 in Delco – at No. 63. Finally, I-76 at I-476 — the interchange between the Schuylkill Expressway and Blue Route – came in at No. 77. The analysis used truck GPS data from nearly 1 million heavy duty trucks to generate congestion impact rankings for all 300 locations. The goal of ATRI's research is to support the U.S. Department of Transportation's freight mobility initiatives to improve the flow of commerce. Two other locations in Pennsylvania made the list: I-81 at I-83 and Route 581 at I-83, both in Harrisburg. "The Keystone State depends on trucking to deliver the goods – everything from the food we eat to the clothes we wear and the fuel we put in our cars," said Pennsylvania Motor Truck Association President & CEO Kevin Stewart. "Unfortunately, growing congestion impacts our ability to meet the demands of Pennsylvania's citizens. Using ATRI's bottleneck analysis, we can target infrastructure investment to those areas most affected by congestion." Below are the 10 worst truck bottlenecks in the United States.